Hi, I'm Rodney Burutsa, Founder and CEO of Heaven's Disciples. Heaven's Disciples® is a multimedia-based company featuring Christian urban entertainment in music, books, films, comics, video games, merchandise, and fashion. 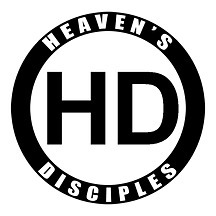 I founded Heaven's Disciples, a multimedia-based company featuring Christian urban entertainment in music, comics, video games, machinima films, books, and fashion.